Thank you to the Brillion Historical Society for making this important collection of your history and for letting us share it on our website. 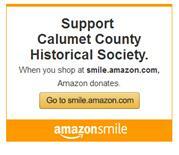 Calumet County has some of the finest historical societies you can find anywhere. It takes a lot of dedicated volunteers donating countless hours in order to preserve and make local history available to everyone. Brillion Historical Society has all of that and more. Their hard work has produced this fine presentation. In 2001 they made this collection of photos and narrated the history of Brillion in order to create a wonderful 13 minute video presentation. From this presentation, you will see Brillion develop from a place originally called Spring Creek, to the village of Brillion and finally to the City of Brillion.